The Windham Assessing Office will be conducting a property valuation update, beginning with residential field reviews this fall and commercial property reviews starting in January of 2018. The last time the Town of Windham updated real estate assessments was in 2011, which resulted in a town-wide reduction in land and building values. The real estate market has changed significantly since 2011; those reductions no longer reflect today’s market. In order to apportion the tax burden equally, the Assessor must establish assessed valuations at just value. Just value is synonymous with market value. The property valuation update will equalize valuations so that no one taxpayer pays more or less than their fair share of the tax burden. The Assessing Office will review local sales that are considered "arm’s length" transactions and create updated pricing schedules for land and buildings. The information collected will reflect the property status on April 1, 2018. The valuation update will be reflected in the 2018/2019 tax bills. 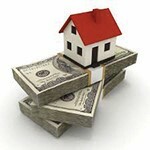 Every property owner will receive a notice of their proposed valuation based on the analysis performed. These values are not final until informal hearings are complete. When a homeowner has a question or concern about the proposed valuation, they are asked to call the Assessor’s Office and schedule an informal hearing to discuss the valuation process and answer any questions the property owner may have. Property owners are asked to come prepared with questions and comparisons of their property to other comparable properties in their neighborhood. The Assessor will determine if a review of the property is necessary and will make any necessary changes before setting final values. Once the taxable values are established, the Town Council will set the annual tax rate (mil rate). This is done by dividing the town's net appropriations (as voted) by the town's taxable value. A property owner has the right to legally appeal their tax assessment if they feel that it is unfair or unjust. Abatement Applications are available, but it is recommended that the Assessing Office be contacted first to verify the information the office has on the property. Tax Relief: The following exemptions and current use programs are available to those who qualify. Applications and more information can be obtained either through the Assessing Office or by contacting Maine Revenue Services, Property Tax Division at 287-2013. Homestead Exemption - A person must be a Maine resident and have owned and resided in the property they consider their homestead and legal residence for at least 12 months prior to date of application. Forms must be filed with the Assessing Office by April 1. Forms filed after April 1 of any year will apply to the subsequent year’s tax assessment. Current Use Programs: In the 1970's, the Constitutional Law added a current use clause which allowed special treatment for certain property use. Tree Growth - A parcel of land with at least 10 contiguous forested acres which are harvested for commercial purposes. Farmland - Property must have a minimum of 5 contiguous acres and be used for agricultural purposes with contributing income. Open Space - No minimum acreage but parcel must be undeveloped and provide a public benefit.